Does your child love to play sports? 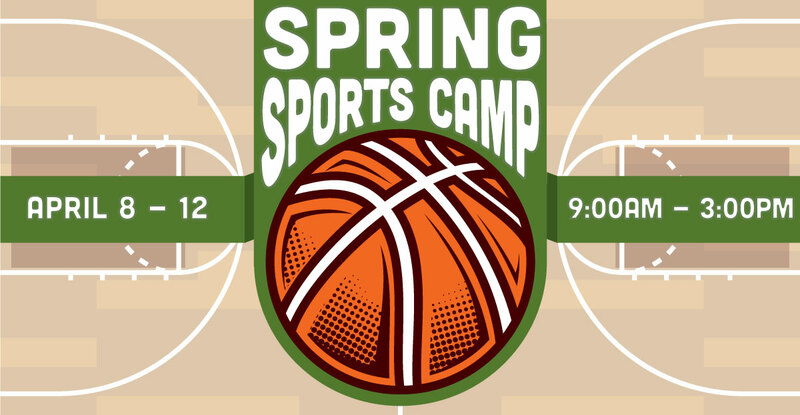 Come join us for our Spring Sports Camp. Learn the fundamental of multiple sports while building relationships and teamwork skills. Join now spots are limited. 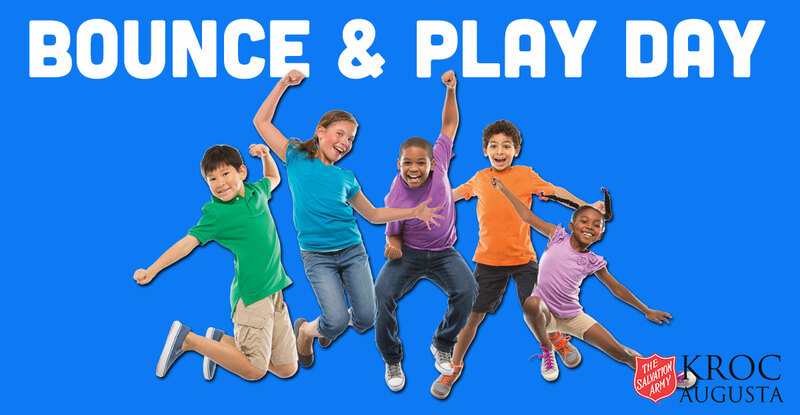 Join us on the first and third Thursdays of most months from 11am – 12pm during the school year, for a special drop-in jump and play time for children 2-5 years of age in our gym and bounce house. Enjoy spending time playing with your child and helping them make new friends. Parents/guardians must stay with their children. This class is for fundamentals of basketball skills for the ages of 5-8. The conditioning will be a combination of light weight lifting and some conditioning in the aquatics area. This will be the new Evolution of basketball training. We will have fundamentals of basketball and we will also do conditioning and more advanced skills training. The conditioning will be a combination of light weight lifting and some conditioning in the aquatics area. This will be the new Evolution of basketball training. 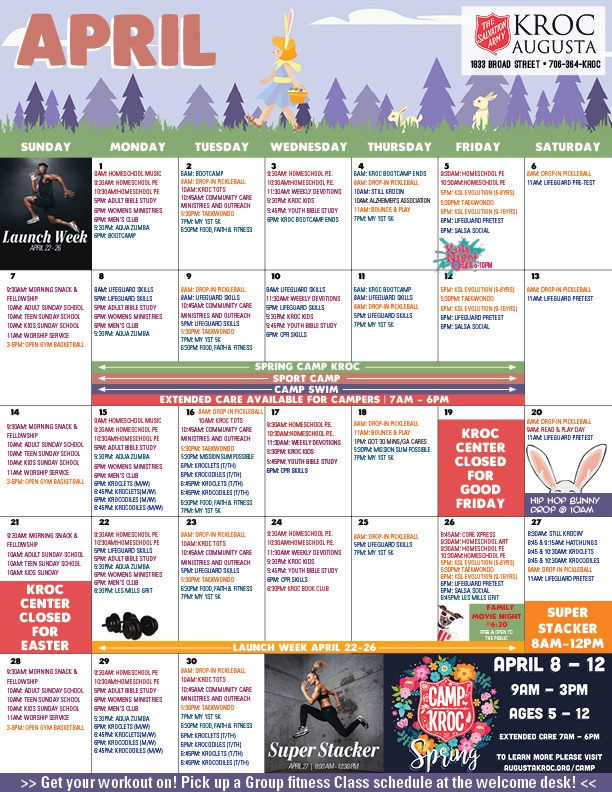 Learn Olympic Style Taekwondo at the Kroc Center of Augusta! The class is designed to challenge a wide range of ages. Whether you have a youngster who wants to pick up a new sport or you are a 99 year old looking for a new hobby this class is perfect! You will learn a variety of techniques including blocks, strikes, evasions, and throws. Uniform is not included in the cost of the class. We offer one free class for anyone to come and see if they enjoy learning the sport. Hi-YAH! This program is designed to provide home-schooled students ages 5-12 the opportunity to interact with other children in a fun and active environment. The class will focus on different skills and sports each month, teaching game rules and proper techniques, and help develop motor skills and hand-eye coordination. Pool time is also part of the class. Futsal is a variant of soccer played on a smaller playing surface and typically held indoors. The rules create an emphasis on improvisation, creativity and technique. The Kroc Futsal League is sanctioned by the National Governing body, U.S. Futsal. 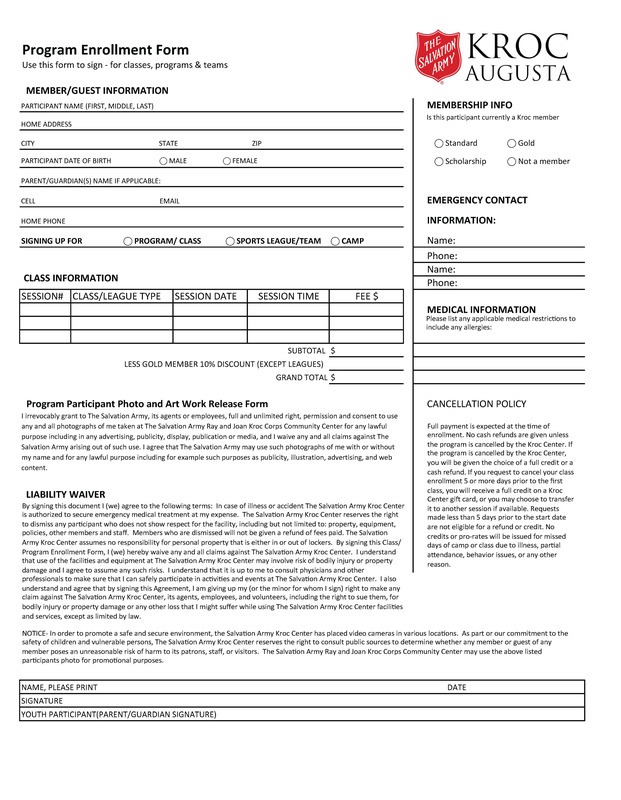 Players must register with them in order to play on our Nationally Certified League. Information on registering can be found at futsal.com. Our Co-Ed Recreational Volleyball League offers organized weeknight games open for all levels of play. GHSA Certified Referees officiate all games to keep things running smoothly! This league is designed for players with a strong competitive spirit and a strong level of play. 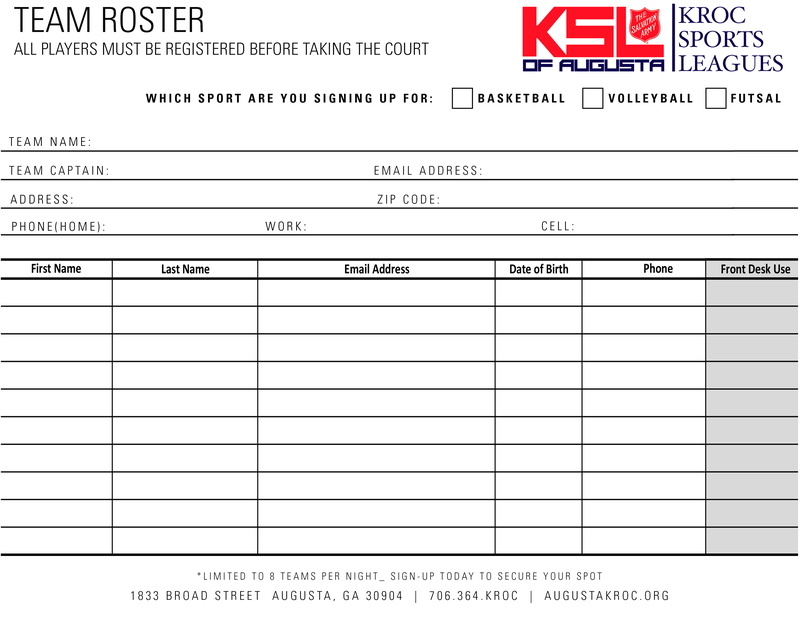 The league will take place in the Kroc Center gymnasium where you will find a suspended maple flooring system, glass backboards, electronic scoreboards, and shot clocks! You might just think you went pro! All regular seasons run for 10 weeks. Teams then compete in single elimination playoffs for 3 weeks.